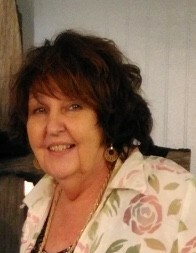 Junith Gayle Rhoades, 72, of Bradford, passed away January 28, 2019 at Unity Health – Harris Hospital in Newport. She was born September 22, 1946 at Bradford to the late Dallas and Elsie Foster Blanks. Mrs. Rhoades was a beautician in Bald Knob for 30 years; she was truly one-of-a-kind and thought the world of her customers. Aside from her career, she was a loving wife, mother, and grandmother. In addition to her parents, she was preceded in death by a son, Richard Lawrence. She married Gary Rhoades September 19, 1980; he survives. She is also survived by two daughters, Berenice Jungers of Conway and Sharlotte Traill of Phoenix, Arizona; six grandchildren, Rachel, Joshua, Taylor, Ricky, Miranda, and Colton; as well as numerous great grandchildren. Following Mrs. Rhoades wishes, she will be cremated. No services are scheduled at this time.